It is important that unless you are a doctor, you do not make any medical claims. You can refer people to Google where hundreds of thousands of testimonials can be found. Big Pharma makes an incredible amount of money treating illness their way. 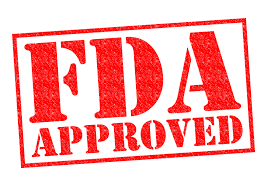 They can’t patent a plant and have no intention of any remedy that is free of charge or not approved by their people to be advertised to people that may use such remedy rather than the FDA one. Health food stores have had this conundrum for decades. The health food store proprietor may recommend something to try and the person tries it with phenomenal results, but if the FDA catches the person claiming that he/she received a benefit, that person may be fined, jailed, or killed. The Police State that we live in does not play games. Recently, an article appeared in Hemp Industry Daily which warned of this very thing. Three CBD companies received letters from the U.S. Food and Drug Administration (FDA) and the Federal Trade Commission (FTC) warning them against making “unsubstantiated claims” about their products’ medical benefits. The companies, Advanced Spine and Pain (Relievus) in Jenison, Michigan, Nutra Pure in Vancouver, Washington, and PotNetwork Holdings in Fort Lauderdale, Florida, are accused of promoting these claims on their products, websites, online stores and social media accounts. The warnings for the four companies related to more than a dozen products and multiple online platforms, on which the FDA said the companies made “unfounded, egregious claims about their products’ ability to limit, treat or cure cancer, neurodegenerative conditions, autoimmune diseases, opioid use disorder and other serious diseases,” without evidence or FDA approval. The letter to Relievus also warned the company against promoting an “unapproved new animal drug” for its CBD for Dogs product. This is not the first instance of the FDA sending warnings to companies marketing CBD for animals. In 2015, two companies – Canna Companion and CannaPet – were warned about their products. Since 2015, the FDA has sent 47 warning letters to 21 CBD manufacturers for making health claims. The companies have 15 working days to notify the FDA in writing of the actions taken to correct the violations and to prevent further violations from occurring. Unheeded letters can result in legal actions, including product seizure. Keep in mind that you can still help people with their ailments. 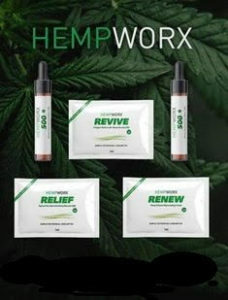 For instance the world’s best CBD company, Hempworx, offers a 30 day money back guarantee. Simply suggest to a person that they may try CBD Oil and see if it might help because there are other people that have tried it that were very pleased. If a person does not receive any benefit, they can simply get a refund and they have not lost a single penny. If you would like to try some Full Spectrum CBD Oil and other Hemp products from the nation’s leading producer, please enter your name for shipping instructions. NEXT POST Next post: Are God’s creations legal in your state?